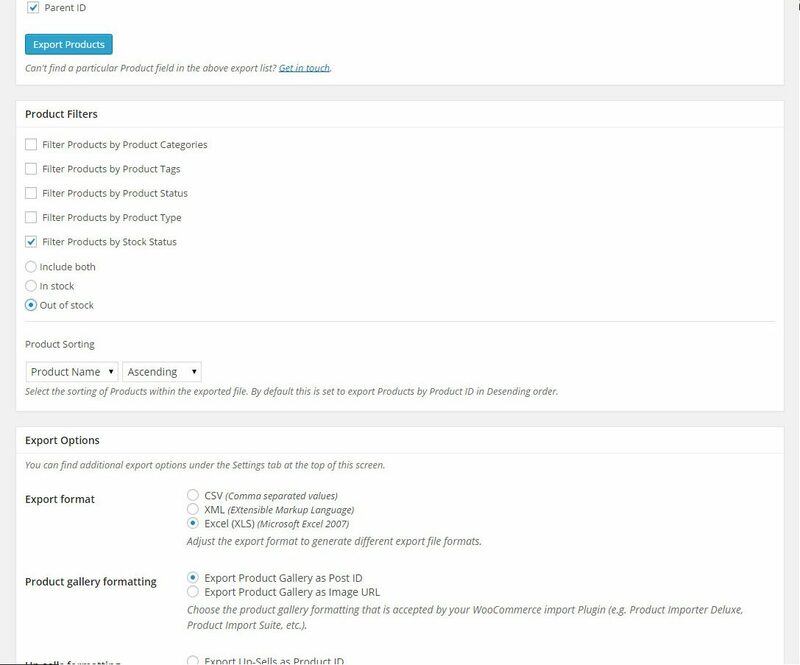 Thanks for adding product category to latest version (1.4.6) – would be useful if I could also get order item custom fields to populate. 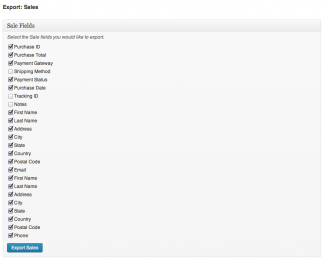 Likewise, Item Variation field is blank. 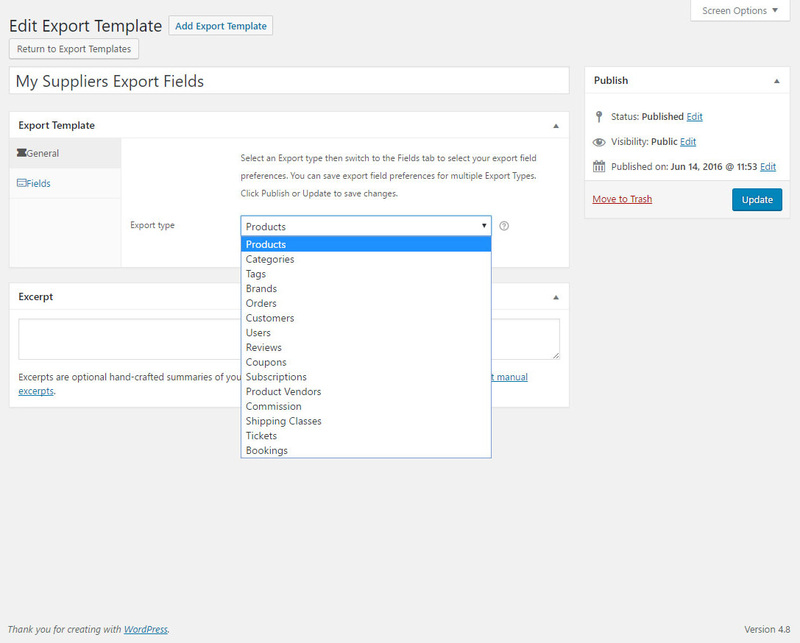 Oh, I also noticed that new items in field export selections (category and tag) don’t save for next time. 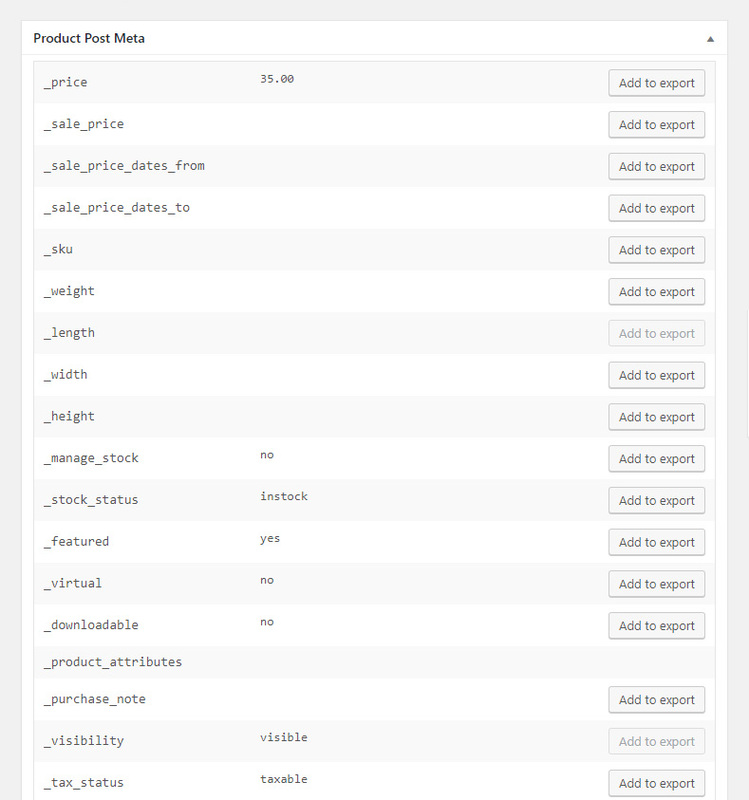 So until I can get item variation or custom fields, I this product is useless to me. 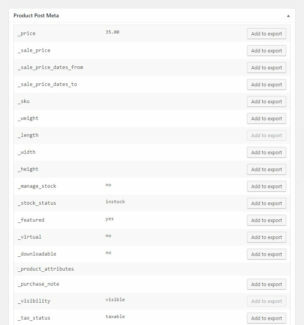 Hi Liz, I’ve fixed the Category/Tag save selection in the next minor release, am looking at why custom order item fields and variation are not being populated. 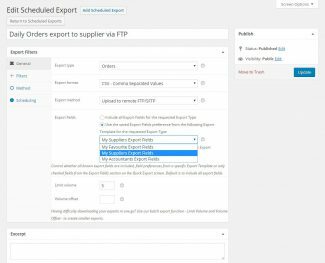 Hi camilapc, this is due to Store Exporter not being activated, I’ve added a fix in the next Plugin update incase this scenario happens. 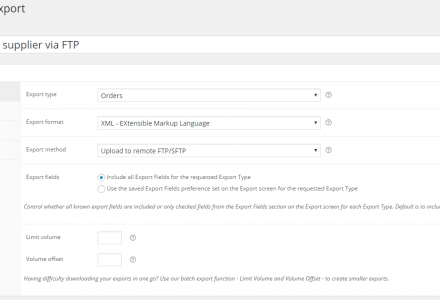 You will see a prompt to install or activate Store Exporter in conjunction with Store Exporter Deluxe. I need to know if this plugin exports all user profiles. 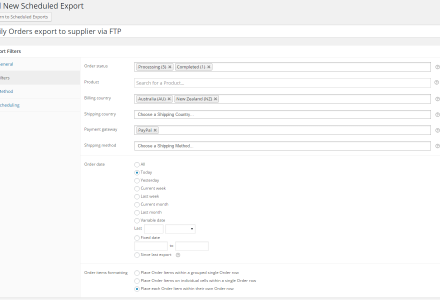 I’m migrating from wp-ecommerce to WooCommerce and I need to retrieve all this information. 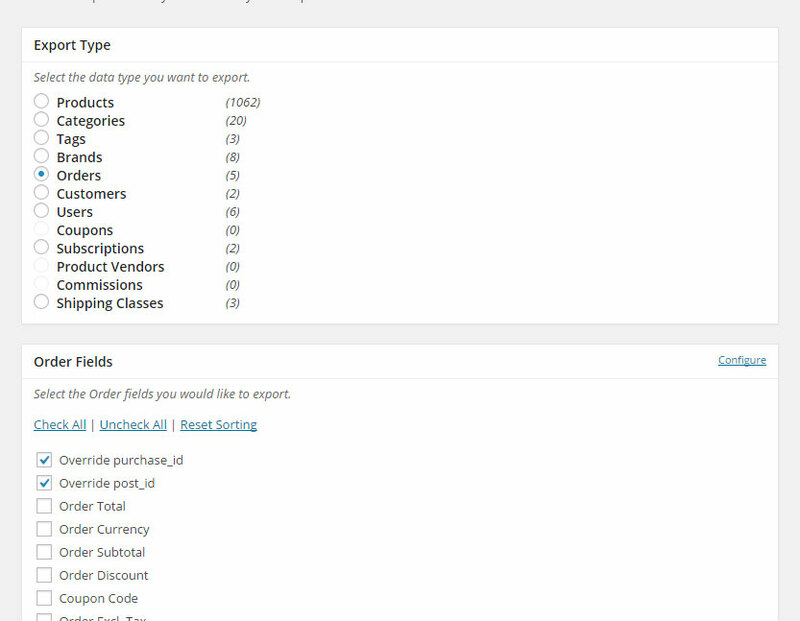 Hi laincubadora, for WP e-Commerce it will export Sales from all Users. 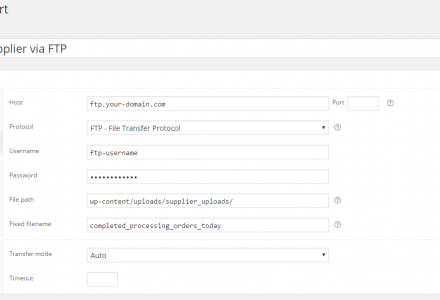 This includes any details gathered via Checkout, it does not include custom fields within the User Profile screen. Get in touch with us as if we cannot find a 3rd party Plugin that migrates users we might look at adding this functionality to a future Plugin update. 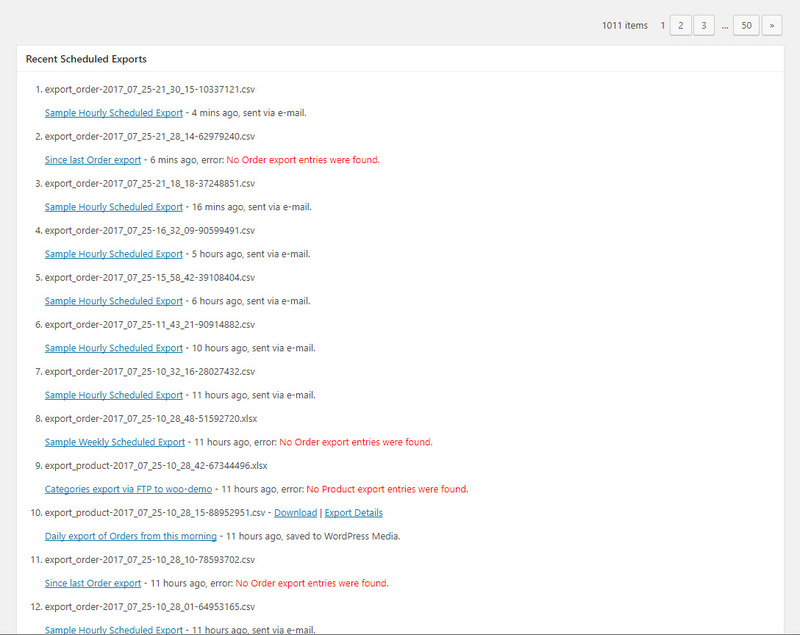 I have posted a support request, twice, and used forums, but I’m not hearing back. 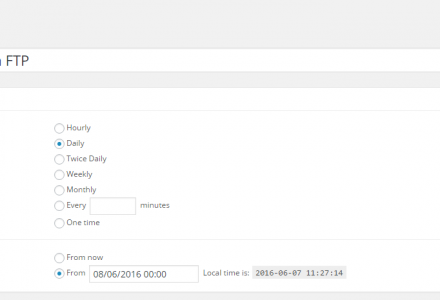 I need the WooCommerce version of this plugin. Due to the unclear design of this page I thought there was just one version and only clicked ADD TO CART not realizing it would add the WP eCommerce version. Please switch me to the WooCommerce version. I have a client who’s been waiting three days for this. Hi kwoodall, we’ve responded to your support request. We’ll take the feedback onboard for clarifying what platform you have purchased prior to Checkout. Hi, im exporting my products. But the HTML shows really ugly in my csv. So i cannot edit it easily in excel, can u help? I already tried @ and ^ as delimiters. 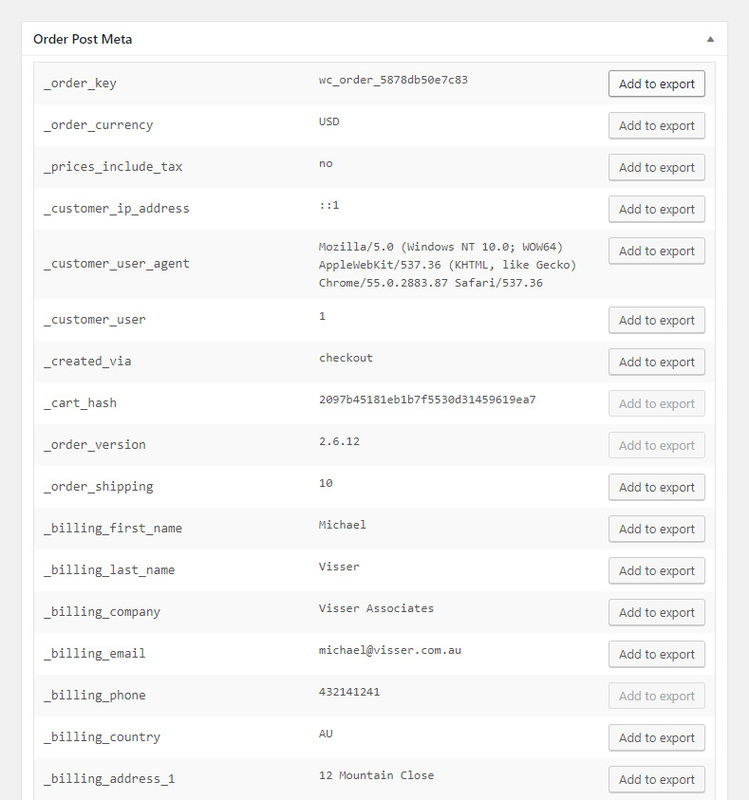 Hi suzanne, thanks for bringing this to our attention, can you create a Premium Support enquiry to us and include a sample of your CSV file, this will help us understand what we can fix/explain this. 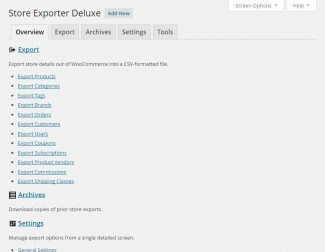 I purchased the Store Exporter Deluxe plugin for my WordPress site upon the advice of my developer. 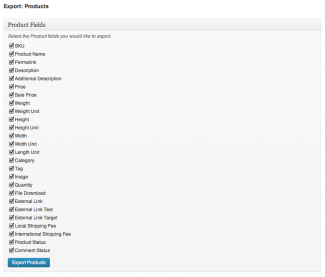 The problem is it turns out I need the WooCommerce version of the plugin. 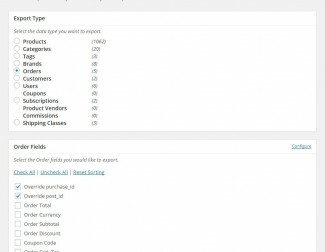 Can you please swap the version on the My Account page for order #29779 so my license applies to the WooCommerce version instead of the WordPress version? 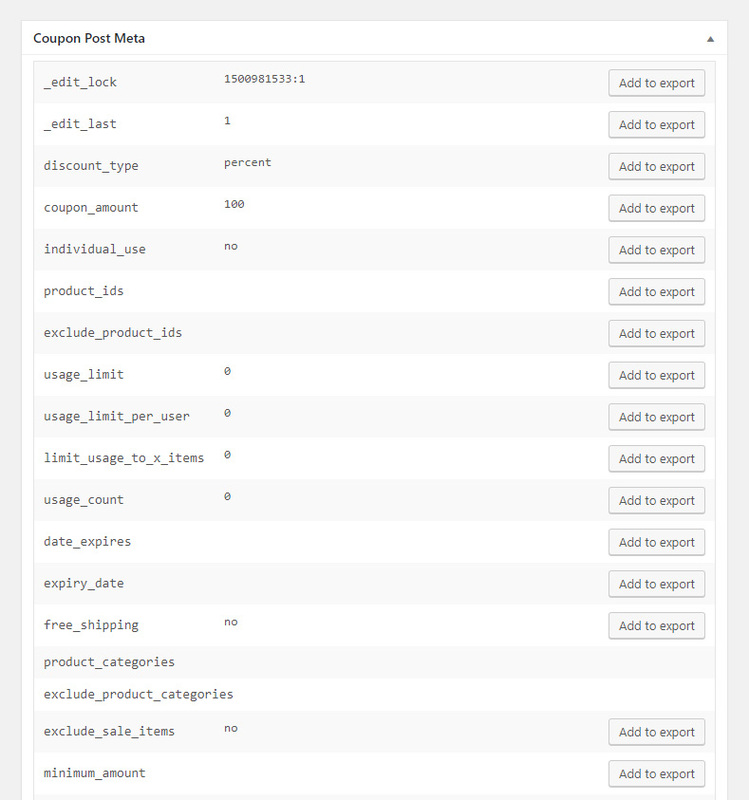 I have a WordPress website (bonegear.net) but it uses WooCommerce for the shopping cart. 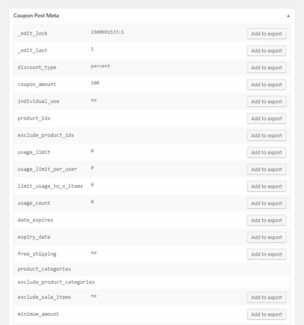 I need your plugin to export data from the cart. I think I am experiencing the same problem. 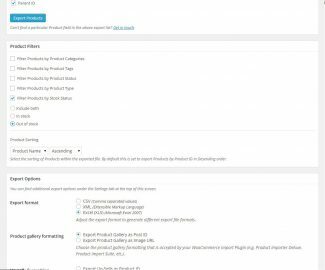 Have installed and activated WooCommerce Compare Products PRO and WP e-Commerce – Store Exporter Deluxe. We’ve added a notice in the latest Plugin update going out that notifies you via the WP Admin if you run into this scenario. I accidentally ordered the wrong version. I e-mailed you, but you have not responded. I ordered the WP e-commerce, I need the WooCommerce. Please send me the correct version. Order number 29781 on September 24. Thank you for resolving that. I am now working with it. 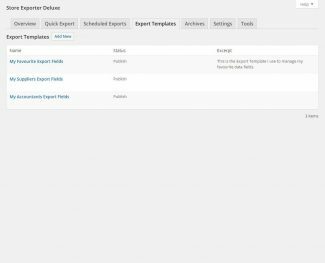 A couple problems – it is not exporting the attributes of the product, product variation, order meta. 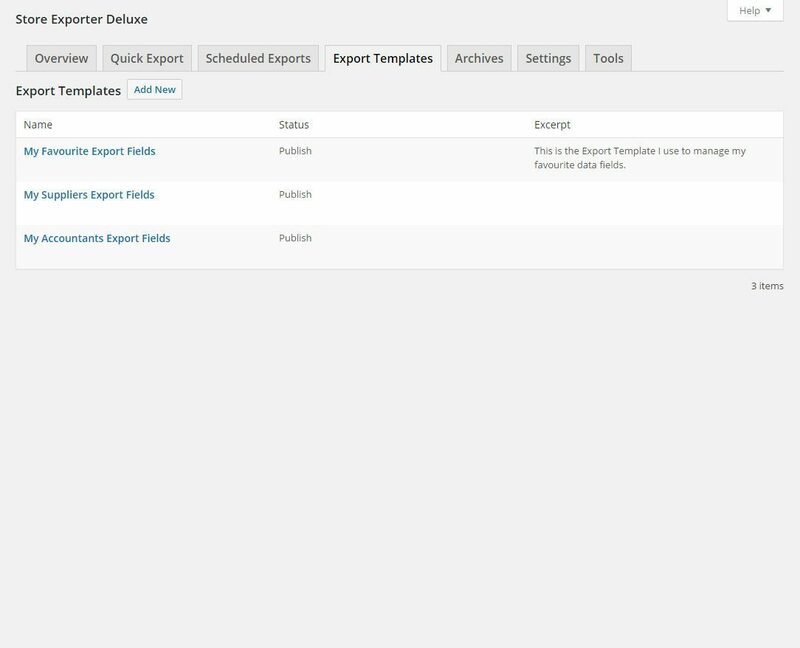 SKU is not exporting correctly, e.g. Hi scott, please open a support ticket, we’ll follow this up via Premium Support. 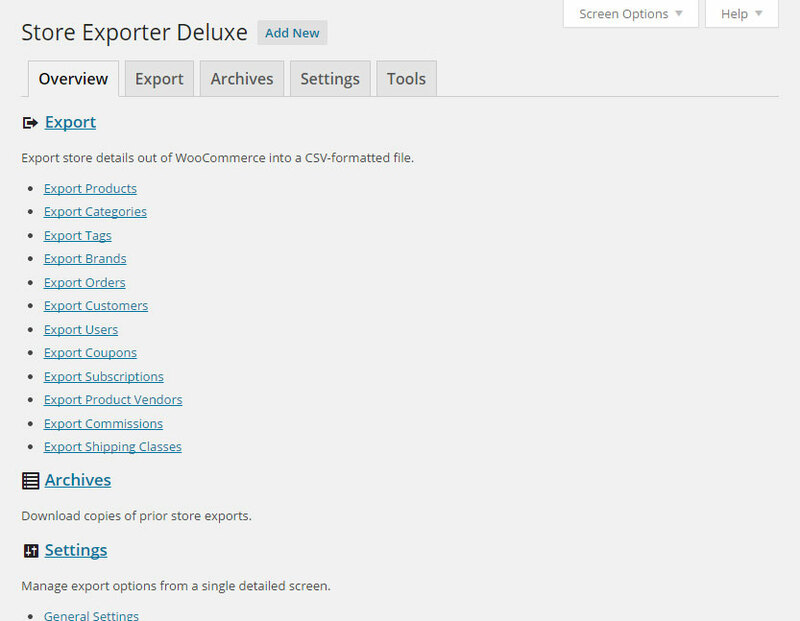 I bought the WooCommerce CSV Export from Woo Themes, but unfortunately it is nor working for me. I collect data such as Customer Vat Number & Customer Member Code. 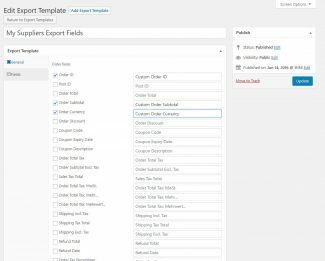 Is it possible to export my custom fields I capture during checkout? I am very disappointed too. It works 1 months and then it doesn’t work again. I have sent an email, I have received one contestation, and then, nothing. I have desactivated the plugin, and now it can not be activate again… this is not serious. 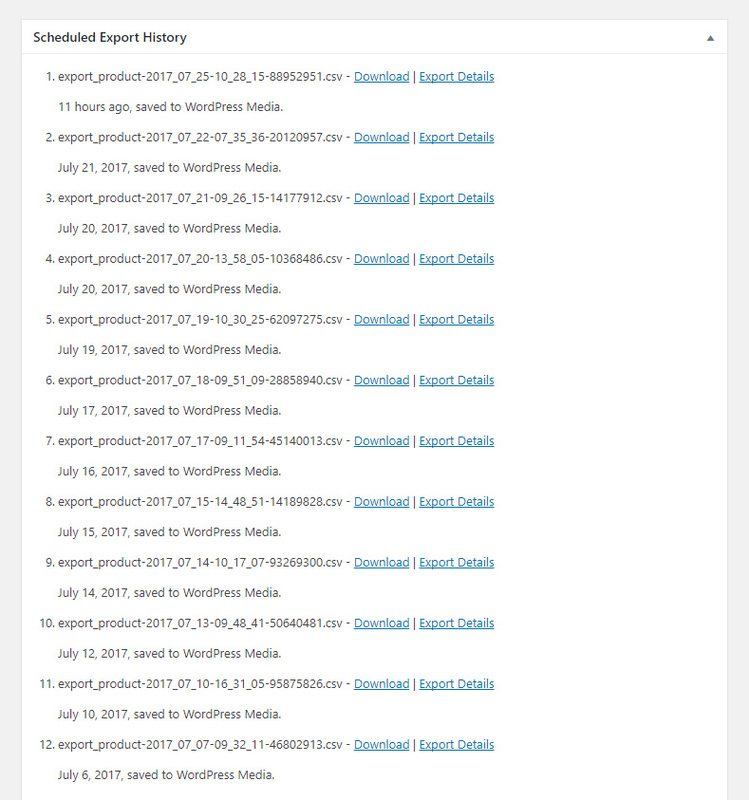 Thanks for the quick update Michael to resolve the Export Order issue. Great stuff. 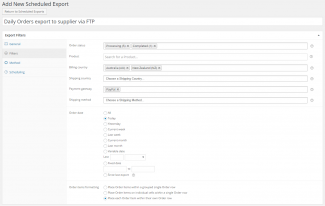 Hi tsuk11, this sounds like a version incompatibility with the old payment gateways API in pre-WooCommerce 2.0, we focus on supporting the latest releases of WooCommerce as they have quite regularly made significant changes to the Plugin architecture. I’ll dig up your support ticket and follow this up with you. It will be very nice, if you can help me with my problem. 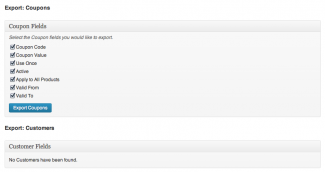 Are you sure that your Premium Support form is working correctly? I leaved 2 support tickets there a long time ago, but still have no answer. Please, contact me on my account email and help to solve my problem. Hi tsuk, I have not been able to locate your tickets under your account e-mail address. I have e-mailed you directly in any case. What happened with the 1.3.3 version? 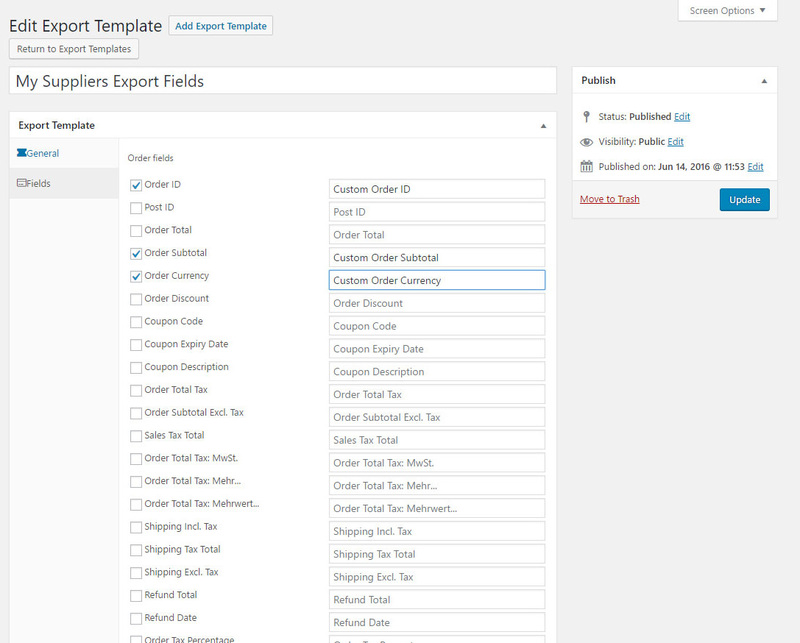 Hi camilapc, please update to the 1.3.4 Plugin update that resolves an issue affecting Custom Orders support that we extended to include Cart Items in a recent Plugin release. Once you update Order exports will resume as expected. Updated and still not working. It shows me the same error. 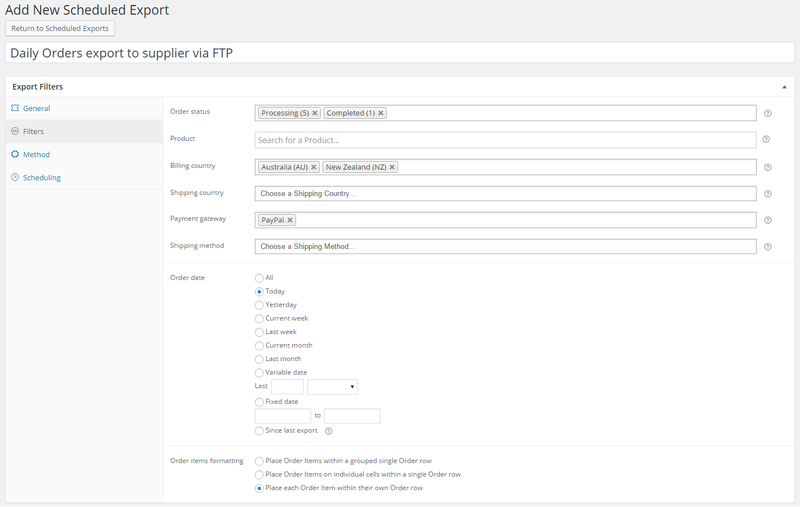 Hi camilapc, can you get in touch via Premium Support, would be great to reproduce this within an affected store. Thanks! I did, but don’t get any response. And I am in exactly the same position. No response to emails or tickets or forum. Come on Michael support your customers please this is terrible service. 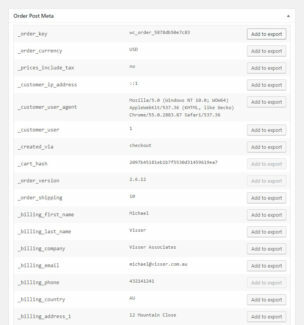 I cannot export orders on my server but can on my local. 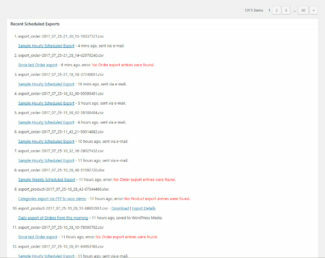 Here is the error log from the server. Hi camilapc, please update to the 1.3.5 minor Plugin update, see the Plugin update post on our blog for more information. Yeah! Updated to 1.3.6 and it works 🙂 Thanks Michael! 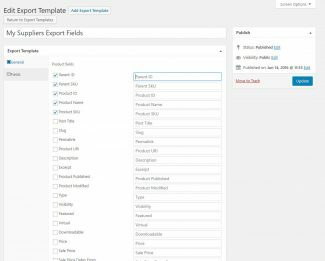 I was wondering if I can use custom fields? and if I can export one specific product and not all my products or my whole store? 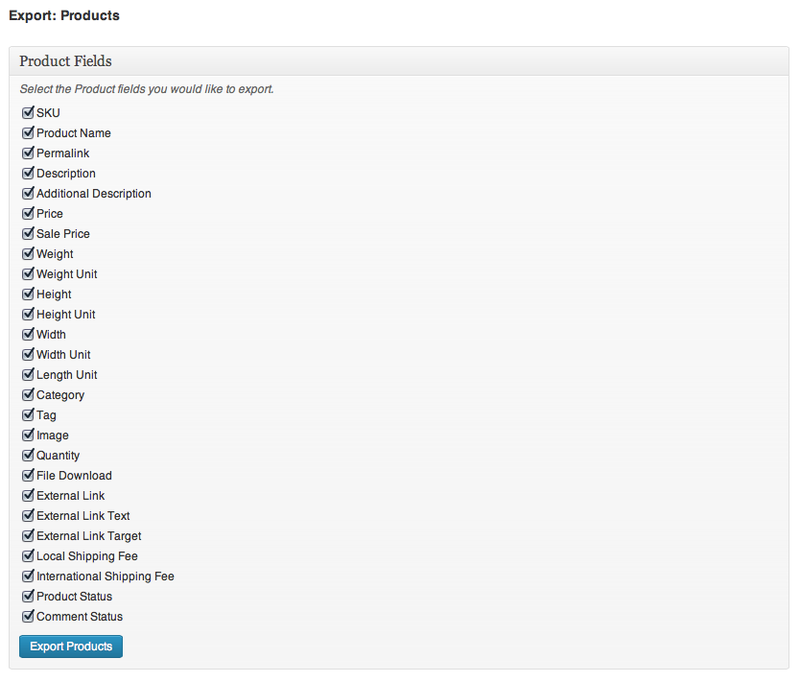 Hi Rob, you can add custom fields to Orders via the provided text boxes but this does not support Products. 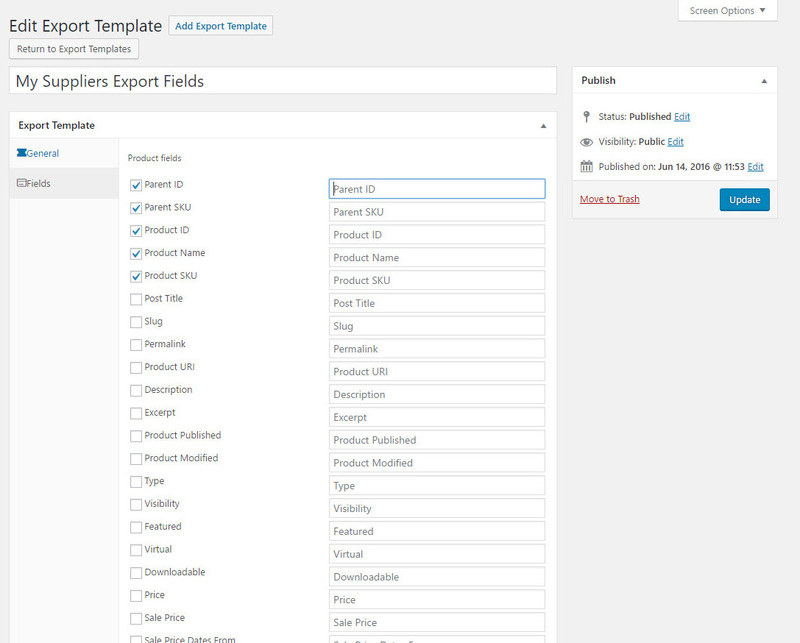 Custom fields for Products need to be added via a custom addon Plugin as explained in our documentation. 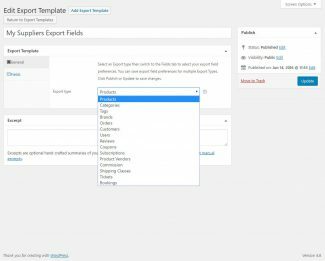 I suggest you make a limited export based on Tags and Categories to limit the size of your CSV export file or contact us if you’re not comfortable doing this. 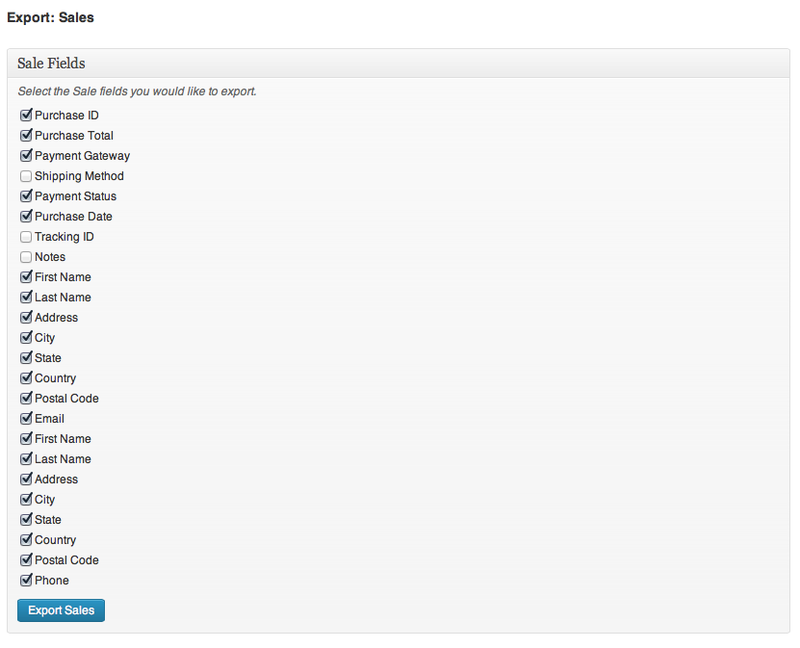 I can’t seem to find the documentation that suggests which customer add-on plugin should be used as mentioned above. 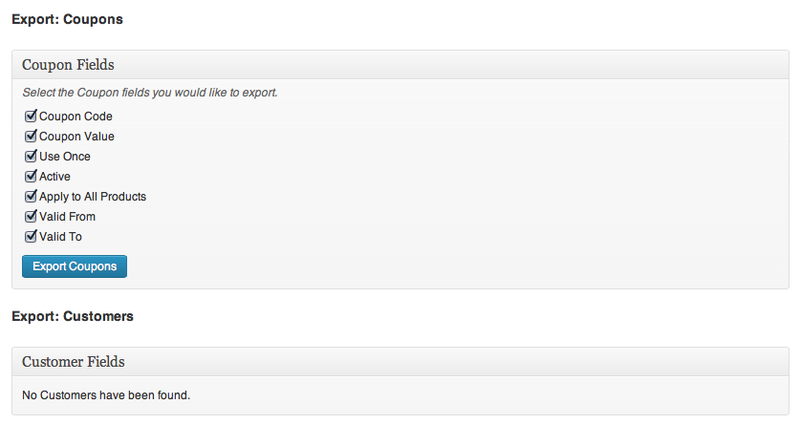 Hi Lauren, please see Custom Order and Custom Order Items text boxes under Export Options in the latest Plugin update. 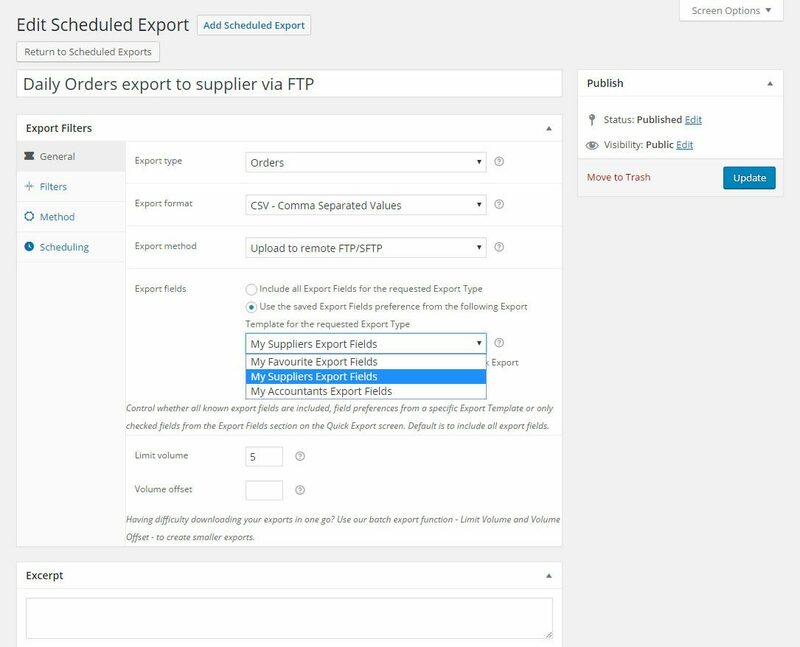 It seems there are many who are having a problem with the export orders function while the other functions are running as normal. Please advise whether you have made any progress. 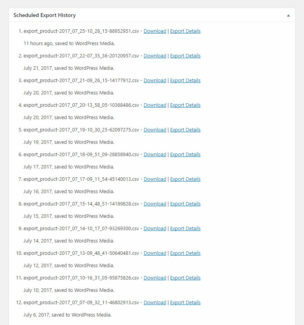 Hi Lauren, we’re working with a few effected stores to identify whats different and will release a Plugin update as soon as possible. I’m still confident it is tied to custom Order fields but will know for sure shortly.